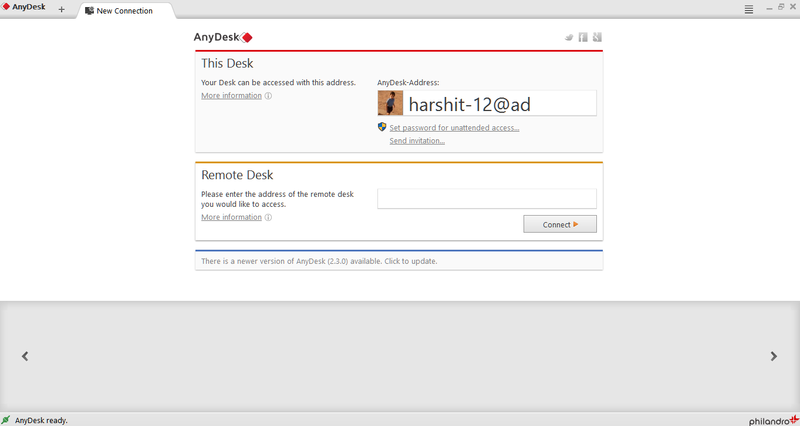 Anydesk is a free software that connects one PC to another PC remotely. Anydesk do not require installation, this software can transfer files and work without a router. It supports unattended access. This software can be operated with tabbed browsing and hidden menus that make Anydesk easy to use. Anydesk can work on Windows XP, Windows 7 (Vista), Windows 8, Windows 8.1, Windows 10 and Linux. This software synchronizes clipboard items between one PC to another PC. Means if item copied from one PC then that can be pasted to another PC with the help of this software. Anydesk is Portable by default, but can be downloaded like normal program. Settings are easily accessible from a Menu bar, during an active remote connection. To create a best possible video quality, speed or balance between the Two PCs, it can alter the connections. You can customize things like showing the remote cursor, transmitting sound, disabling controls for view only, and turning off clipboard syncing, blocking other user’s input, and taking a screenshot. You can also create a shortcut to your desktop. You can transfer files by simply pasting them to clipboard and then copying from there. Rename any connection to remember it. When you send request to connect to another computer then it will show user account image for identification purpose. You can send keyboard shortcuts like Ctrl + Alt + Del to a remote desktop. This software takes only 1.5 MB space on your PC. Anydesk is available at free of cost for personal use. Anydesk has a clean and uncluttered interface. You can chat with Anydesk, while on an active connection and you can customize it to full screen. Anydesk is similar remote desktop program like TeamViewer. You will need an ID number to connect to another PC. 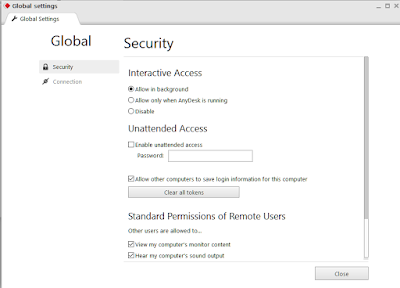 When you install Anydesk on your PC, then you will be provided with an Anydesk ID. Anydesk ID will be created automatically based on the name of the PC instead of numbers. When Anydesk is running on both host and client PC’s, then they can share their Anydesk-address with other and you can start connection by entering that Address in to “Remote Desk” part of program. You can set up a password in the settings to enable unattended access. 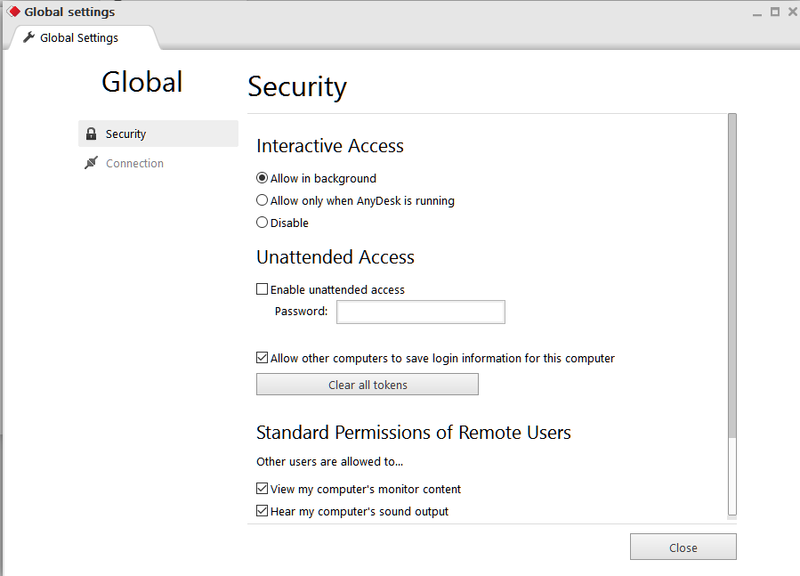 Anydesk allow you to define the permissions to remote users are given when they connect to you. You can give permissions to view the monitor, hear the sound of computer, control the keyboard and mouse, access the clipboard, and lock the user’s keyboard and mouse input.